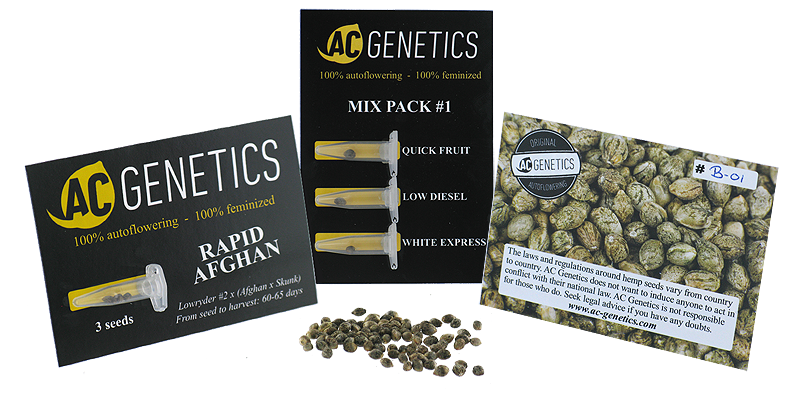 Seeds from AC Genetics are sold in packs of 3 seeds and 7 seeds. Seeds are packed in air-tight 'microfuge tubes'. For the pack of 7 seeds counts; the price is for 6 seeds, so you get 1 seed for free!